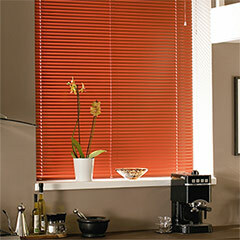 Venetian blinds available at Millennium Blinds, Whitchurch, Cardiff. 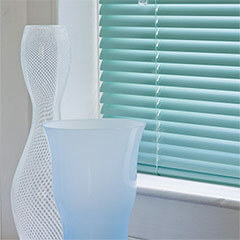 Venetian blinds gently direct sunlight through adjustable slats without obscurring the windows' view. 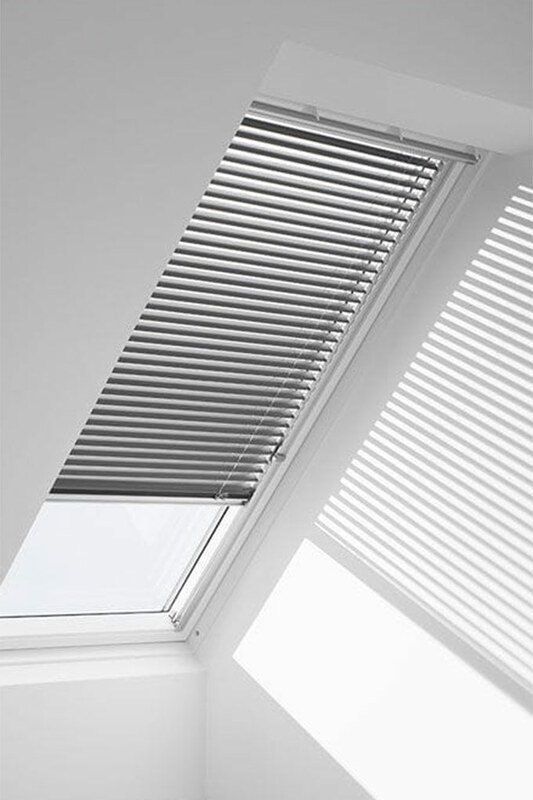 Easily adjustable and offering a wide range of light control, Venetian blinds will always be a simple, functional addition to any home. 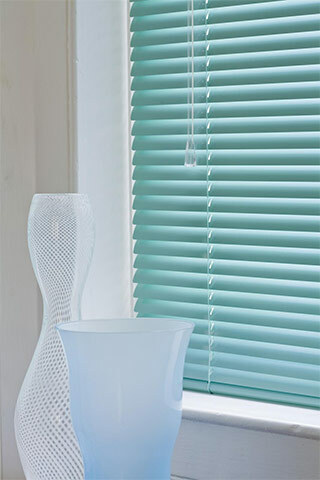 Adding a burst of colour to your room is easily achieved with a good set of Venetian blinds, a bright aluminium blind is an easy and affordable way to add vibrancy and personality. They're easy to clean too, simply use a damp cloth or try wearing damp cottom gloves for an easy cleaning solution! 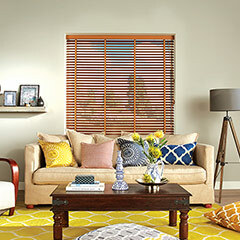 Try using larger slat widths with Venetian blinds for a shutter style finish and, when open, offering more view outside. Need help or advice with these products? 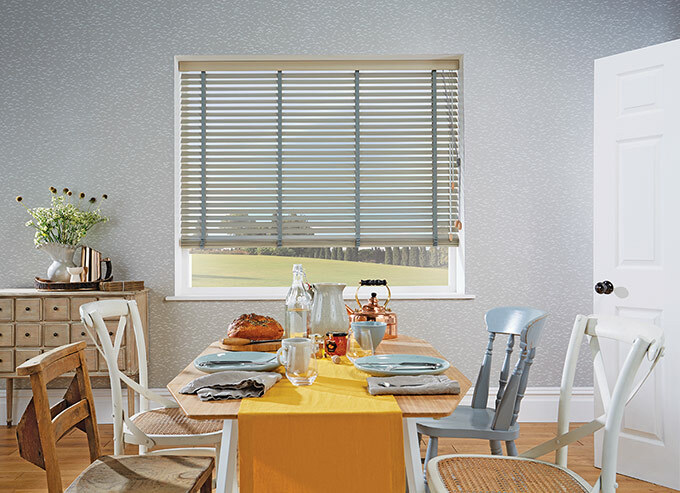 For a free no obligation quote call us on 02920 621111 or visit our Whitchurch showroom. 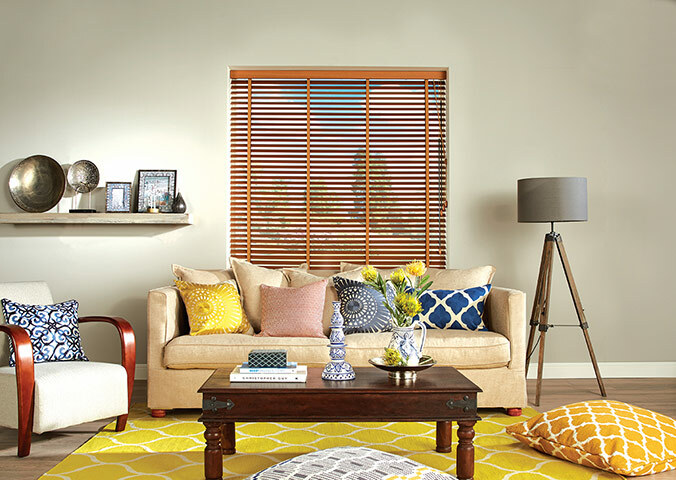 Venetians can be held in place and operated by a thumb tab or in a Perfect Fit frame as an option for doors or tilt & turn windows. 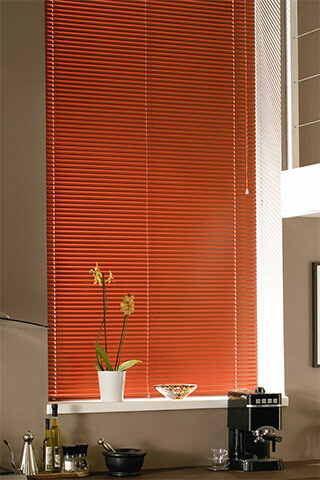 Get a 10% discount on all metal venetian blinds.